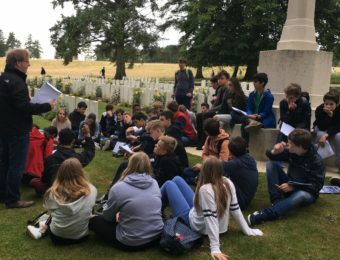 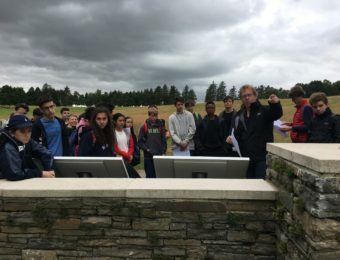 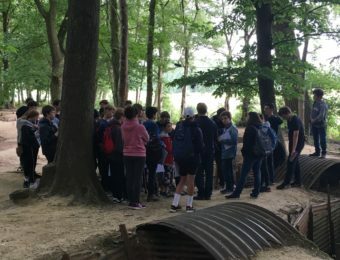 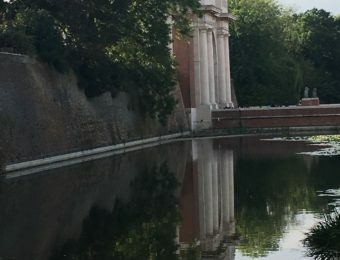 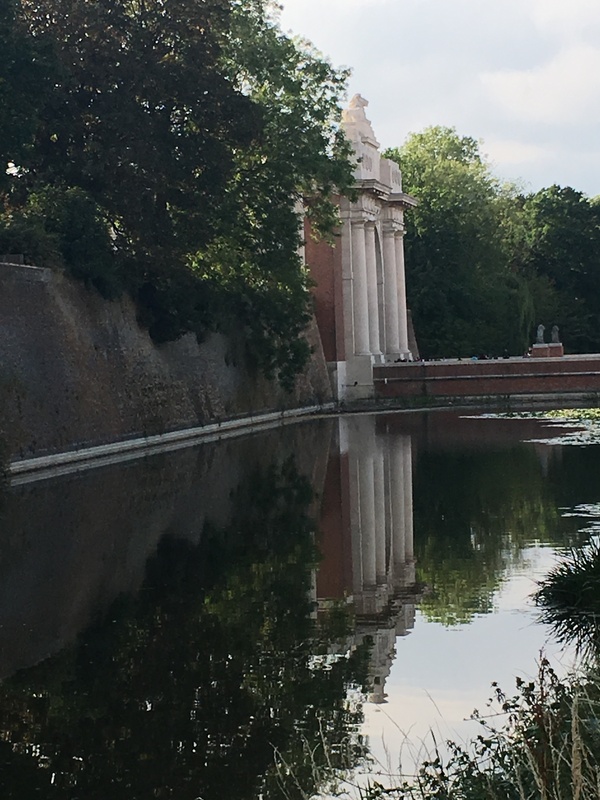 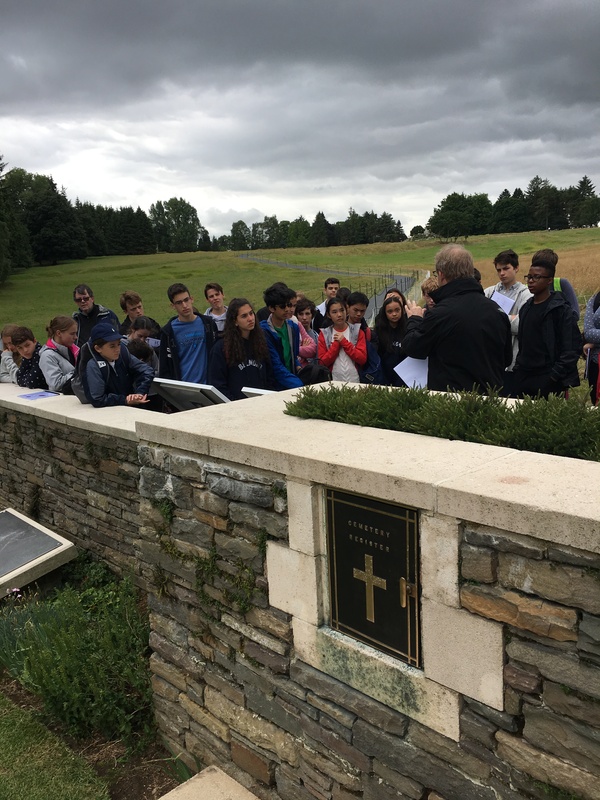 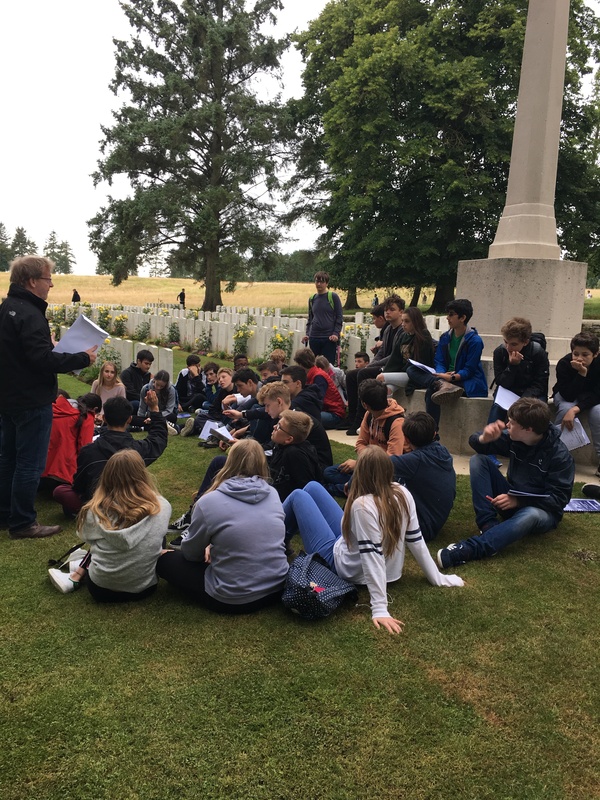 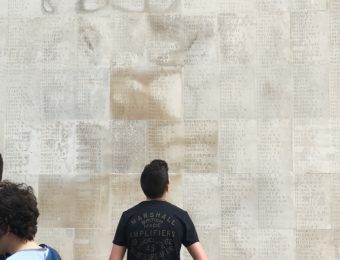 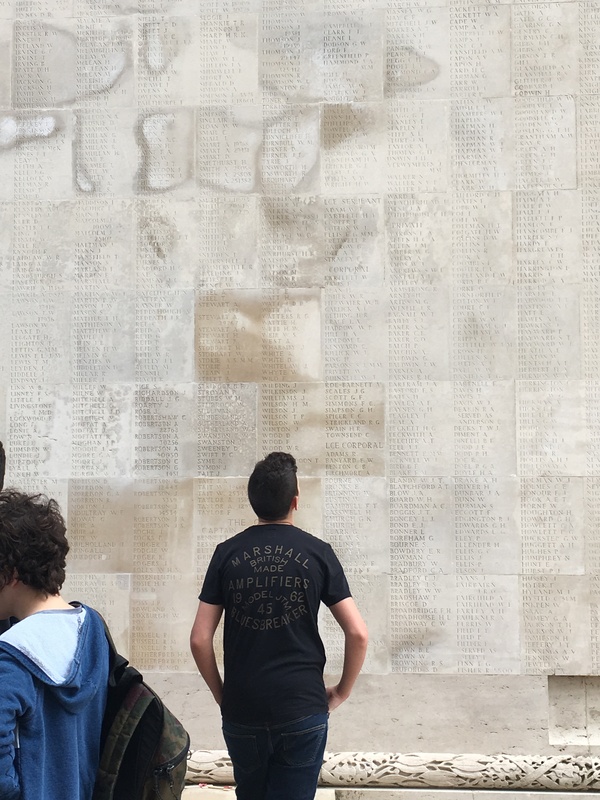 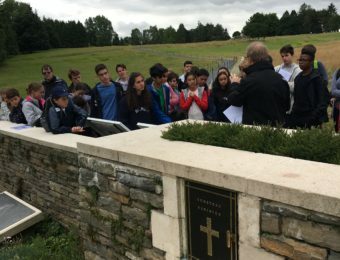 To coincide with the 90th anniversary of the Battle of the Somme, 42 pupils and five members of staff spent a fascinating three days retracing the steps of combatants from Ypres to Verdun and hence on to the Somme. 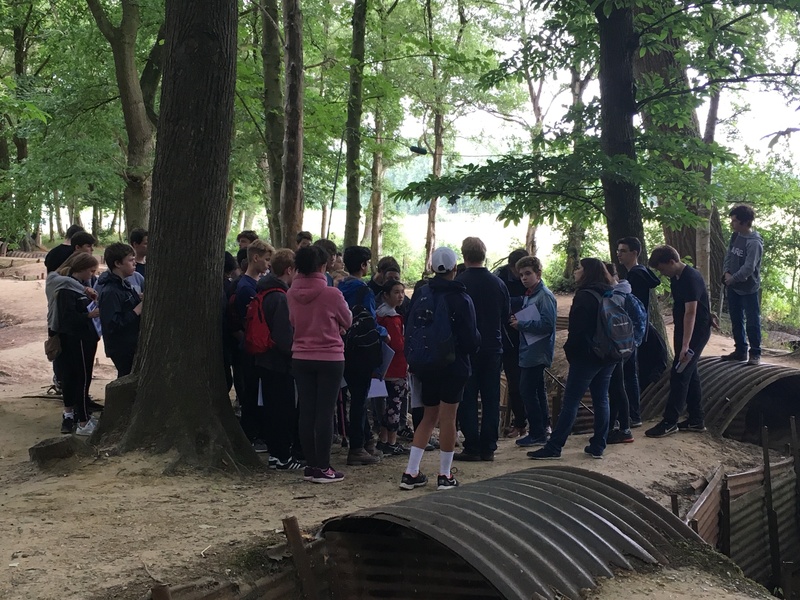 With an eye to future GCSE coursework, the Fourth Form group completed a series of exercises aimed at analysing the whole business of trench warfare and the roles played by both commanders and their troops. 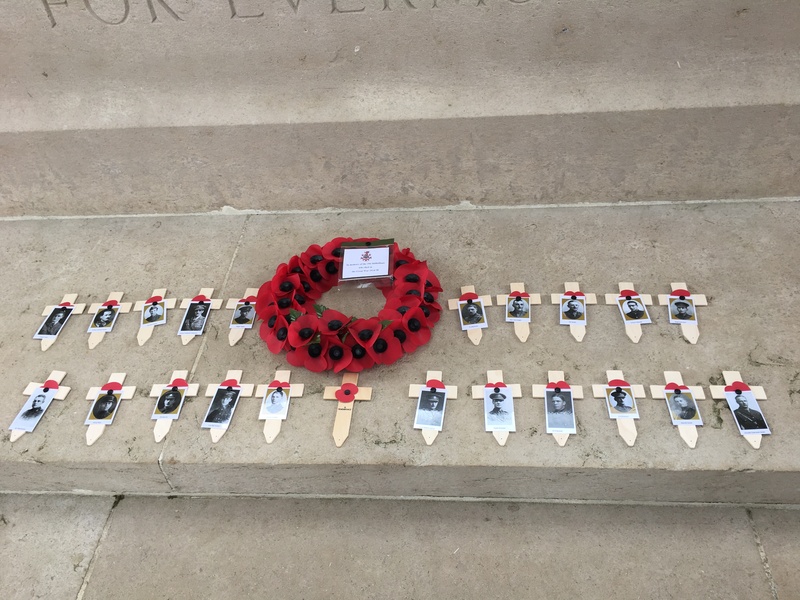 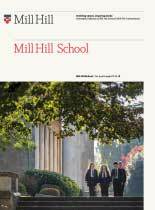 Special attention was paid to sites with relevance to the School and a number of wreaths were laid including one at Serre in memory of the part played by Old Millhillians in the attacks by the Bradford and Leeds Pals Battalions. 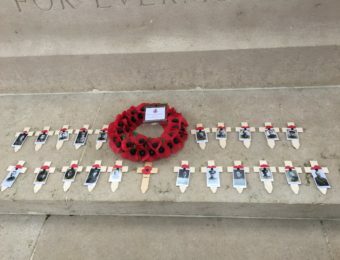 Another wreath was laid by Rosie Welch at Theipal in memory of the 28 OMs lost during the Battle of the Somme in 1916. 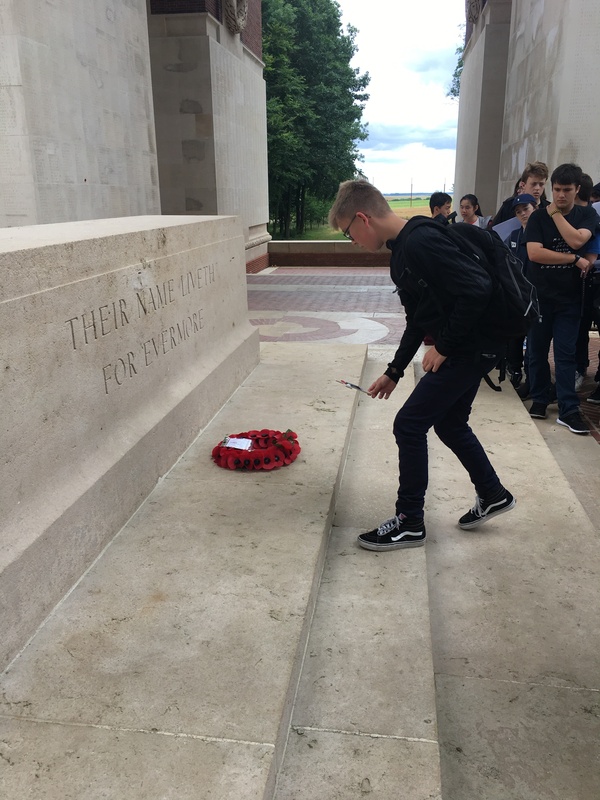 This was particularly poignant as both of Rosie’s great-grandfathers served on the Western Front. 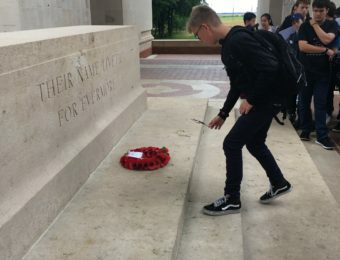 Rosie’s other great-grandfather, William Elliot was one of six brothers who served on the front line. Amazingly only one of the six died in action – this was Philip Elliot who is buried near La Boiselle, having fallen on the first day of the Battle of the Somme. 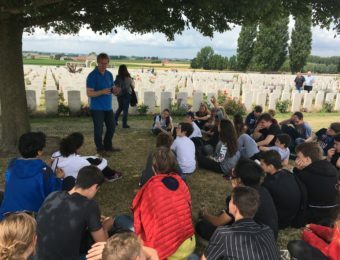 La Boiselle was the first site our group visited during their day on the Somme.